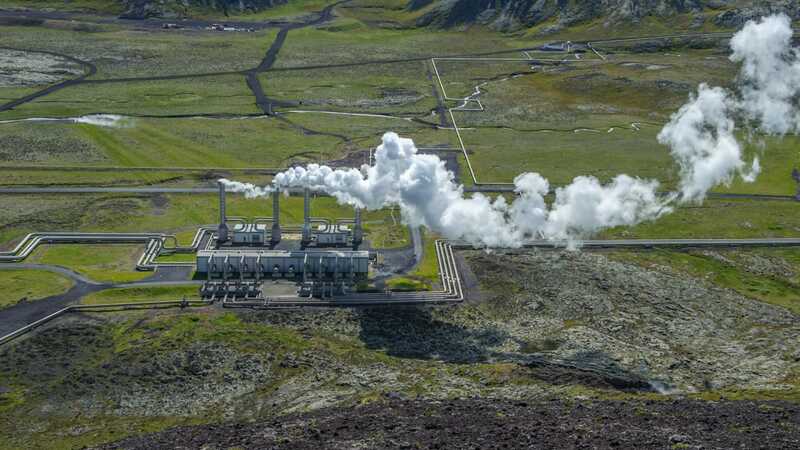 The Administration of Occupational Safety and Health wishes to draw attention to the fact that all companies, including tourism companies operating in areas where there is a risk of geothermal energy pollution, shall carry out appropriate risk assessment and response plans in accordance with Regulation no. 920/2006 . The key point is that all employees know the risk assessment, response plans and use appropriate personal protective equipment if other protective measures are not possible. Businesses are also advised to monitor and monitor information on civil protection in the preparation of risk assessment and response plans. Employees who work for measurement, observation, guidance or other work near geothermal energy must take appropriate precautions for the risk of toxic and dangerous gases. The greatest danger arises from gases that are heavier than the atmosphere, and can therefore be transmitted to the ground, forming mortal gills in dams and gaps. Examples of such gases are sulfur hydrogen (H2S, hydrogen sulphide), sulfur dioxide (SO2) and carbon dioxide (CO2). Special care should also be taken when entering a closed space where geothermal activity is present, such as pour and ice hollow that can form in glacier passages under certain conditions. In these cases, special attention must be paid to sulfur hydrogen (H2S, hydrogen sulphide), sulfur dioxide (SO2), carbon dioxide (CO2), and carbonic acid (CO, carbon monoxide). It is necessary to measure the concentration of gases in enclosed spaces. If possible, use a single-drill gas meter that emits a warning sound if the concentration approaches the threshold. The minimum requirements for such measurements include sulfur hydrogen (H2S), sulfur dioxide (SO2), oxygen (O2) and carbonic acid (CO). If gas gases are used with gas oil, they should at least protect the gases SO2 and H2S and preferably all harmful gases found in the space. Care should be taken to relieve gases of respiratory masks, as many types of gases are usually involved, and the filters can be quickly absorbed. If fresh air masks or air filters are not used with air pumps, do not use respiratory equipment for more than three hours a day, and this time shall not be continuous, see Regulation no. 390/2009 . The Occupational Safety and Health Administration wishes to reiterate that work is prohibited in a restricted area without respiratory protection if contamination exceeds 15-minute reference value for a particular gas, oxygen concentration must be checked separately. Pollution limits are the highest permissible average pollutants in the atmosphere of workers, given for 8 hours. and also for a 15-minute presence. Pollution limits are given in ppm (parts per million, million volumes of volumes, 10,000 ppm equals 1%), but also based on milligrams of material per cubic meter of air. See Regulation no. 390/2009 on contamination limits and measures to reduce pollution at work and amending Regulation no. 1296/2012 . Poisonous, flammable gas with a strong uncomfortable odor (like odor, smell like a joke), but heavier than air. At high concentrations (about 120 ppm) the sense of smell fades or disappears. Inhalation causes nasal discomfort and throat, cough, headache, dizziness, feeling sick and sick. Pneumonia and pulmonary fluidity (pulmonary edema) may occur later. High air concentrations quickly cause unconsciousness. May cause the injured to fall uncontrollably and risk of head injury. If the strength is very high, there is also a risk of convulsions, respiratory distress, permanent nerve damage and death. At 20-50 ppm you can expect nausea and smell of lethargy. At 100-200 ppm an acute respiratory condition, the sense of smell disappears and respiratory irritation grows. At 250-500 ppm people will be dying. Awareness will be at 500 ppm. At 1,000 ppm, respiratory distress and death will occur. The emission limit is 0.5 ppm (1.3 mg / m3 = 1,300 μg / m3) for 8 hours. and 1 ppm (2.6 mg / m3 = 2,600 μg / m3) for 15 min. Sulfur trap is a colorless gas with a stinging odor. Inhalation may cause nose, mouth, tear, cough and respiratory distress. If your strength is high, there is a risk of pulmonary edema (pulmonary edema) that may occur for a period of time or up to two hours. Sulfur instillation is more than two times heavier than air, can be grounded before it fully mixes with air. Sulfur-insulated image with moisture sulfuric acid and acidity. Pollution limits are 5,000 ppm (9,000 mg / m3) for 8 hours. than 10,000 ppm (18,000 mg / m3) for 15 min. Carbon dioxide is a colorless gas with a weak stinging odor at high concentrations. Carbon dioxide is 1.5 times heavier than air and can be grounded. Large amounts of carbon dioxide lower the oxygen content of air and can cause respiratory disturbances, which can cause unconsciousness and death. Pollution limits are 25 ppm (29 mg / m3) for 8 hours, and 50 ppm (58 mg / m3) for 15 min. Carbonic acid is a light and odorless gas, as heavy as air. Carbonic acid poisoning may occur at low concentrations without odor finding. Inhalation may cause headache, dizziness, nausea and excessive vomiting, vomiting, arrhythmia, arrhythmia and loss of consciousness. CO causes 800 ppm drowsiness, pain and numbness. CO causes 1,600 ppm death within 2 hours.